When I met Laura Wilbourn at a SCBWI conference a few years back, I was immediately struck, not just by her intelligence and humor, but by the unusual, etherial quality of the picture book she had brought to show everyone she met. When I learned that she was about to publish a new book, Asterion's Elixir, I jumped to invite her to join us here and talk about her process. And look at these wonderful illustrations, which Laura does herself! I have always been a fan of imagination. As far back as I can remember, daydreaming has taken precedence over anything that required academic attention. In one recurring daydream that I recall vividly, I had the ability to magically transform myself into a flying unicorn. At the time, I was in first grade at the International School of Bangkok, and in this fantasy, the classroom was on fire. I transformed into a mystical creature that flew through the window and saved my class from the flames. Even though it occurred at such a young age, I feel this daydream was very telling of who I would become as a person and planted a seed from which my children’s books would originate. In second grade, my family and I moved back to California. With the option of choosing my own wallpaper for my room, of course I chose unicorns. Between the daydreams and the wallpaper, it may not come as a surprise that my children’s book, Asterion’s Elixir, includes a unicorn! Not only is there a unicorn, but a lot of color as well! My ultimate favorite color is blue (with red a very close second). What better place than space to fulfill this color scheme? An interesting fact about another influence in my life at the time I was writing this book: I was taking an astronomy class at Texas State about the stars and galaxies. Reading all that material and seeing all those pictures definitely sparked my mind's adventure into the unknown. This book is unique in that it contains many bright and engaging colored images, but there is an abundance of text as well. This is exactly what I wished for as a ten-year-old girl. I was never satisfied with the illustration-text ratio. It was either a lot of text and few pictures, or it was very little text and so many pictures. How do you solve this dilemma? Make your own children’s book! Make it exactly how you wanted it as a child, so that every part of the inner-child in you is fulfilled. 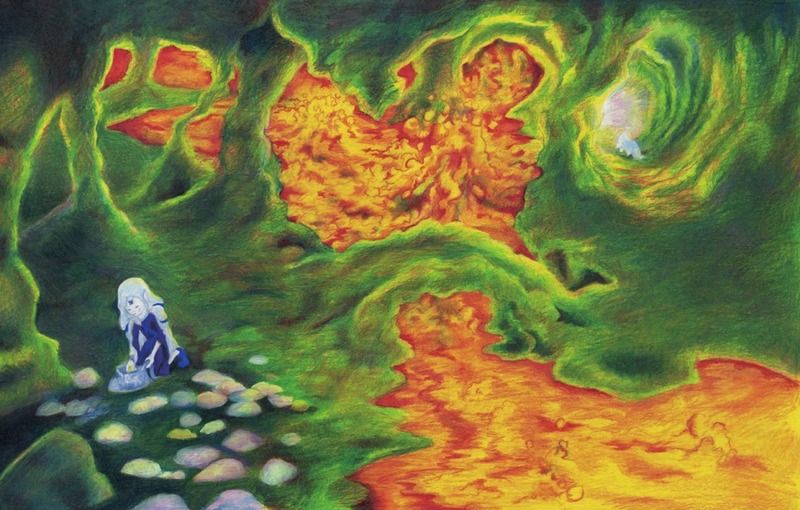 Though the influences of this story are easy to distinguish, my process is harder to explain. I don’t have a clear-cut path when I create a book. I do both the writing and the sketching at the same time. However, what is consistent is that the seed of a story begins with a drawing that eventually blossoms into character development. From here, a few more sketches are made which make room for plot development. It is a back and forth movement between the graphic and the literary art, and somehow I end up with a book and illustrations in the end. Learn more about Laura Wilbourn and purchase Asterion's Elixir on her website. Follow her on Facebook. Happy Black History Month! We celebrate with a wonderful guest, author Dionne Lorae Holly, who shares with us the fascinating history behind her new book. I began my adventure in researching for Camp Birdsong: A Night Under The Stars as a Girl Scout Troop Leader. I created a Black History Month badge activity for my troop about the first campgrounds for African American Girls. The activity presented 1940’s vintage uniforms, handbooks, and photographs. The presentation became popular thorough out my Girl Scout Service Unit. What peeked my interest to do research is the famous Girl Scout quote by the founder, Juliette Low. Low called her friend describing a program she has for girls, "I've got something for the girls of Savannah, and all of America, and all the world, and we're going to start it tonight!” The Girl Scouts began in 1912 in Savannah, Georgia. Then, there is a rumored quote by Martin Luther King Jr. dated in 1956, which describes the Girl Scouts as a force in desegregation. I had to learn what happened in between those two quotes. I made inquiries online and learned about Girl Scout Volunteer, Josephine Holloway. She donated not only her time, but also bought land in Tennessee for a Girl Scout camp for African American girls. The Jim Crow laws prevented her troop from a true camping experience. The girls could not sleep overnight. Eventually, the local Girl Scout council purchased the campgrounds from Holloway. Later the council integrated the campgrounds. Prior to Holloway purchasing the land, her troop traveled to Indiana to camp overnight. In order to tell this historical fiction authentically, I interviewed my mom. As a Girl Scout from the 1950’s, she shared how she made a bed roll (sleeping bag) and cooked meals over an open fire. Foremost, she described how she felt many times like a spectator and not a participant at the annual Girl Scout gathering called Camporee. My story uses a fictional scouting group called Girl Rangers. I studied orienteering for my research as well. The story tells how the Girl Rangers learn about the sun and the stars. The most shocking discovery I made was to learn the idea of introducing girls into scouting; was when the Boys Scouts founder, British General Powell observed African Zulu women’s resourcefulness while their tribesmen were away at war. Camp Birdsong: A Night Under The Stars is considered a children’s Black History Month book, but it is an inspirational story for any age, any gender or any skin color. The story shows how to overcome challenges and make your dreams come true. Purchase Camp Birdsong: A Night Under The Stars on Amazon and Barnes & Noble; if you live the metro Atlanta area visit the Greater Atlanta Girl Scout Shop, 5601 Allen Rd. Mableton, GA 30126. To learn about the author visit her website or follow her on Facebook or Twitter. 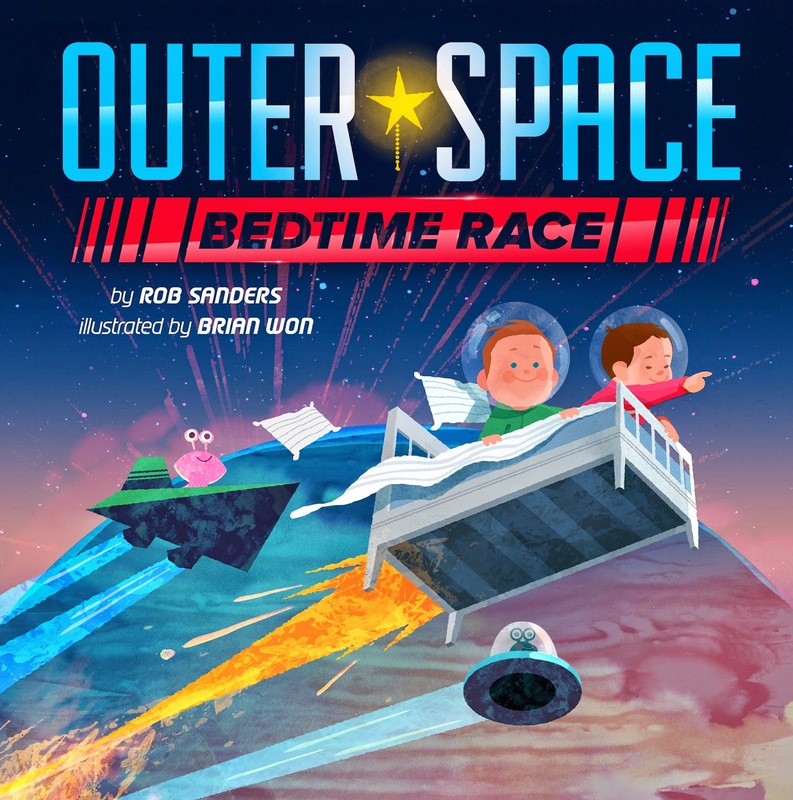 I am so pleased to share the story behind the creation of my new book OUTER SPACE BEDTIME RACE, illustrated by Brian Won. Our book was recently released by Random House Children’s Books. Brian and I are both grateful to our editor, Maria Modugno, and our art director, John Sazaklis, for their incredible work and support. 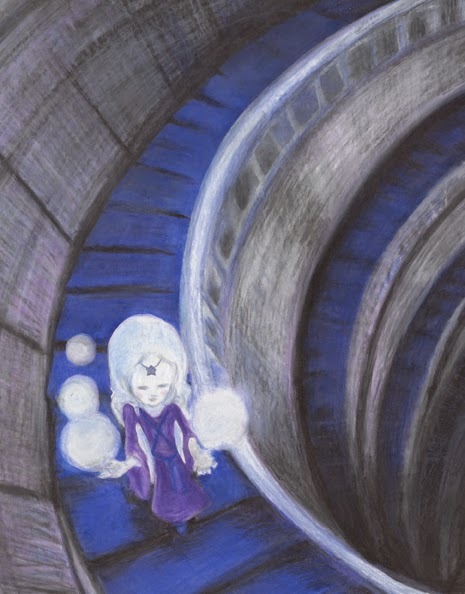 My vision for this book began when I had the idea to create a bedtime story that my great nieces AND great nephews would love and wanted to have read over and over again. I wanted to create something that wasn’t pink and sweet and butterfly-filled. I wanted something edgy and active and maybe even a tad creepy. Something different, but something that would still get kids ready for bed. Honestly, my great nieces (like many girl readers) are easy to please and just love books in general. But my great-nephew, Jack, well that’s a different story. I knew if I could come up with something that Jack liked, his sisters would like it, too. I made a quick list of topics with boy-appeal: robots, monsters, dinosaurs, aliens. Aliens! Immediately the idea of an alien getting ready for bed stood out, and as I researched the market I couldn’t find any bedtime books with or about aliens. Now I don’t want you to think this was a long, drawn out process. This whole process occurred in an hour or so. Then the real work began. My first stab at a manuscript followed one alien through his bedtime routine. As I explored that idea I couldn’t decide if Jupiter or Mars or Saturn or another planet might provide the most story and illustration possibilities. When I couldn’t decide which planet to focus on, I did what any reasonable person would do—I decided to use all the planets and explore a different bedtime activity on each planet. Since my story was focusing on earth kids going to bed, I knew I wanted to start the story on earth and circle back around—or orbit—back to earth. I soon decided that rhyming was the best mode for telling the story since it would add to the bedtime appeal of the manuscript. I started listing planets, bedtime routines, and words and phrases that would add life to my crew of bedtime aliens. I also started researching non-fiction facts about the planets that I could write into back matter for the book. As a teacher, I know how parents, teachers, librarians, and kids love those tidbits of fact that often accompany a story. After a few drafts and taking the manuscript to my critique groups, I fired it off to my agent, Rubin Pfeffer. Rubin gave some suggestions for revisions and we worked back and forth a bit. Rubin decide to submit exclusively to Maria Modugno. She quickly took the manuscript to acquisitions and within a few weeks we had a deal. Brian Won was soon brought on as the illustrator. Maria and I worked for several weeks via phone and email examining and revising the manuscript line-by-line. From ideation to research to writing, revising, editing, illustrating, and printing the entire process has taken right at two years. OUTER SPACE BEDTIME RACE has been released and is soaring out of book stores! Brian and I are enjoying launching our book in book stores and libraries, creating resources to support the book, and promoting our book in various ways. As a matter of fact, you can view our book trailer to get a taste of outer space bedtime adventure. Now all that I have left to do is to give Jack, Madi, Libby and their new brother, Lincoln, their copy of OUTER SPACE BEDTIME RACE! Learn more about Rob Sanders on his website and his blog. Purchase Outer Space Bedtime Race on Amazon, BN, and other retailers.